I was so happy when Nolan and Lauren wanted pictures taken at Garden of the Gods. I had originally suggested a spot at a park that wasn’t quite to “Colorado” with striking mountain views, but this was so much better. 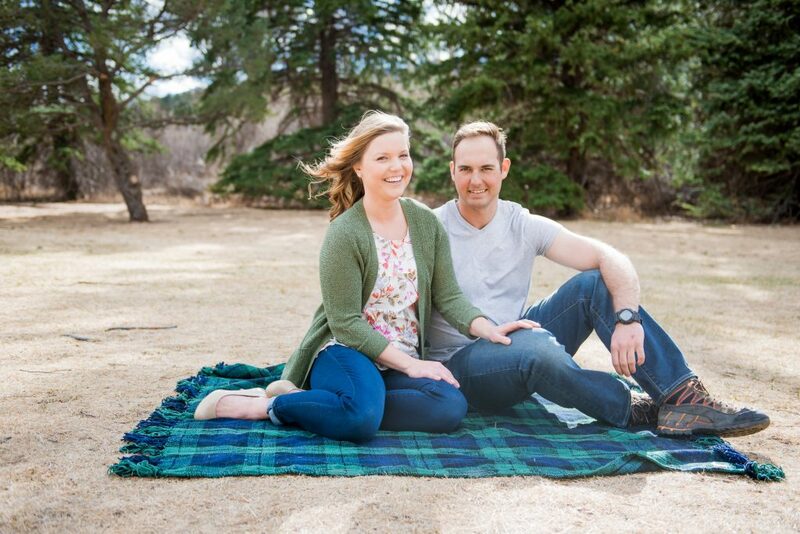 They’ve lived here in the Springs for SIX years and NEVER had pictures taken there- it was about time! It was a gorgeous evening in my new favorite spot in the Springs. You can’t beat mountain views that are easily accessible with a 5 second walk from a parking lot. Also, as you know, I LOVE DOGS. And they brought Ginger with them (I mean, why wouldn’t they, she’s a part of the family). But I’m always so happy when dogs can be included in the session. Love it! And them! 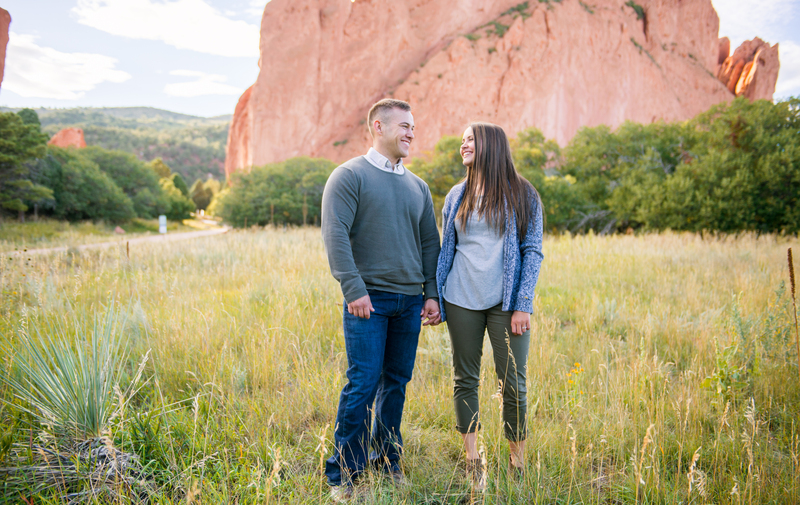 Enjoy their gorgeous Garden of the Gods couples session! Why are coffee shops so perfect for taking pictures?? Normally I take 95 percent of my pictures outside, but sometimes it’s fun to switch it up a bit and move things indoors. While my sister and her boyfriend were visiting me in Colorado, we stopped at Switchback Coffee to take some cute photos. Because what better mix can you have than tasty coffee and perfect indoor lighting?! They turned out so cute!! The bight light and neutral color palette inside was SO perfect. Not to mention the lattes we had were amazing! If you’re in Colorado Springs, be sure to check out Switchback Coffee– it’s wonderful. Another great one that’s opened recently and is super cute is Loyal Coffee downtown. Check that out too for a modern classy vibe of the traditional coffee shop. Enjoy these two love bugs! My goodness, what an adorable session. We have been waiting to do this session since last summer! Amanda got in touch with me and said she wanted pictures, but that we’d (unfortunately) have to wait for her husband to return to the Springs from his Army assignment. Now, after waiting nearly 8 months, we finally were able to get the pictures that have been so long-anticipated! “I’d like you to take some special pictures for us”- I had been anxiously awaiting a text like this from Trent for a long time. 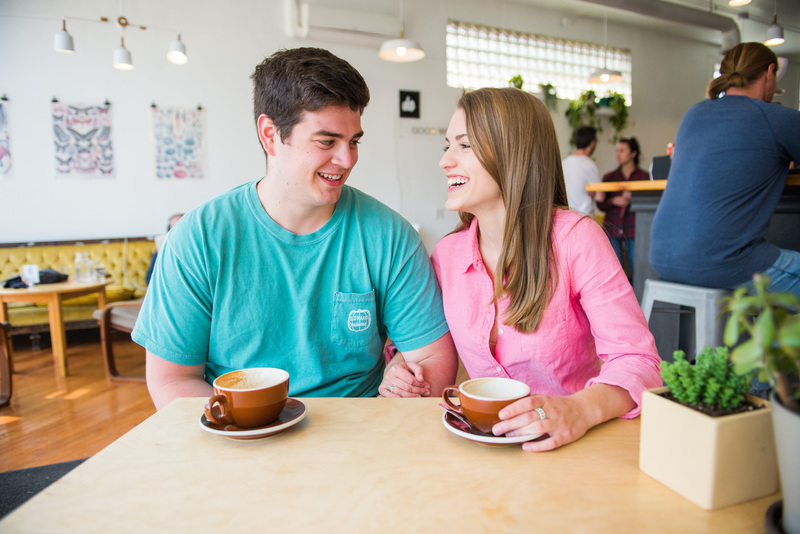 Abby and Trent had been dating for a while now, and I knew the proposal was coming in the near future. 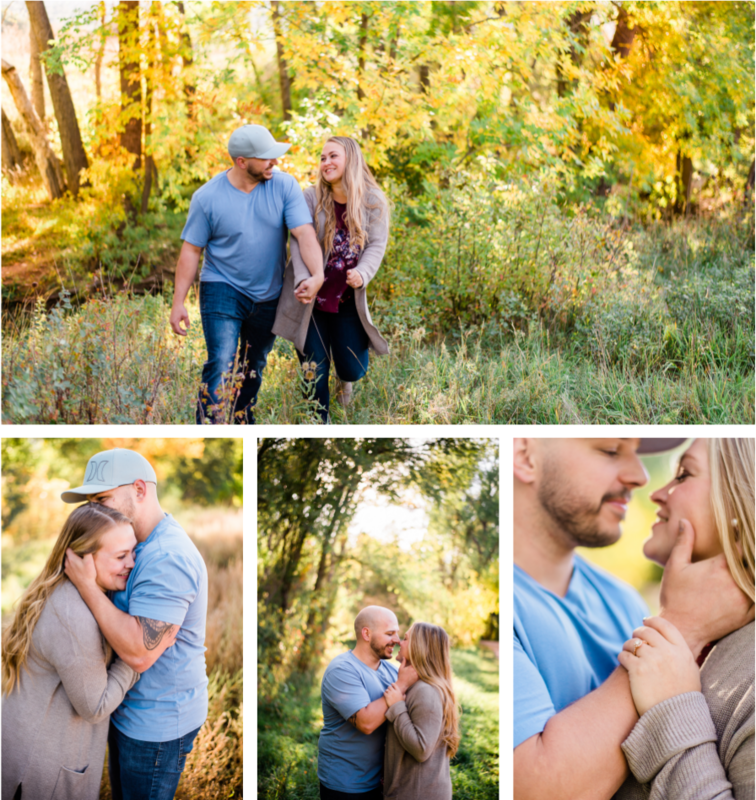 Over the summer, I had talked to Trent about photographing the proposal when the time were to come, and I was beyond excited when I finally got that text from him! I mean like REALLY freakin’ excited. Abby and Trent are a wonderful couple. They’re funny, adventurous, and genuinely kind people. When Cam and I moved to Colorado, I was so happy to have family so close in Denver. I’ve enjoyed hanging out with them (and their perfect dogs) and am so thankful for our friendship. I’m so happy Trent wanted me to be a part of this big moment for them. AH! My very first session in Colorado Springs. Moving from across the country and starting up business from scratch in a whole new area is definitely a difficult task. 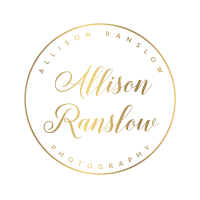 I know that I can provide quality work and a wonderful photography experience, but the challenge is marketing myself and reaching people who will be interested in my services. 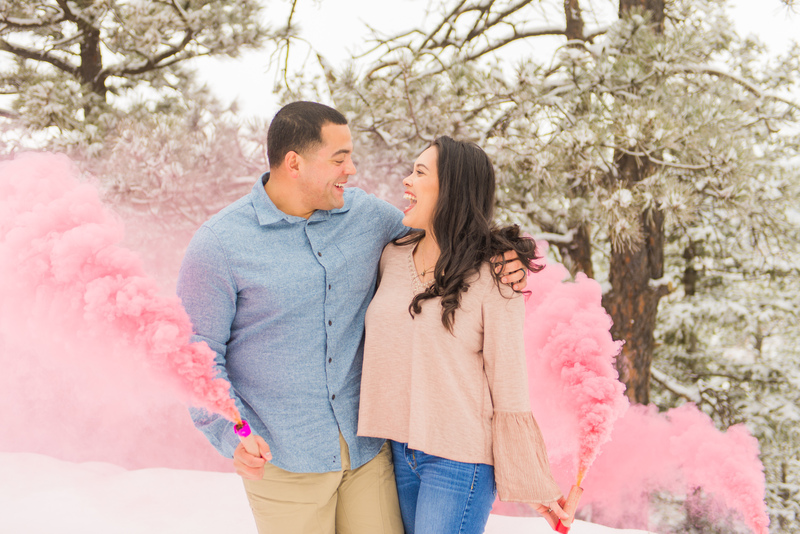 To help with this, I decided to run a free couples or engagement session giveaway. Entrants submitted a form telling me a little about themselves- how they met, what they like to do, why they deserve a free session, etc. I got SO many submissions and it was extremely hard to pick just one. Since I’m too nice sometimes, I decided to give away two completely free sessions. And one of those sessions was won by Amber and Justin. 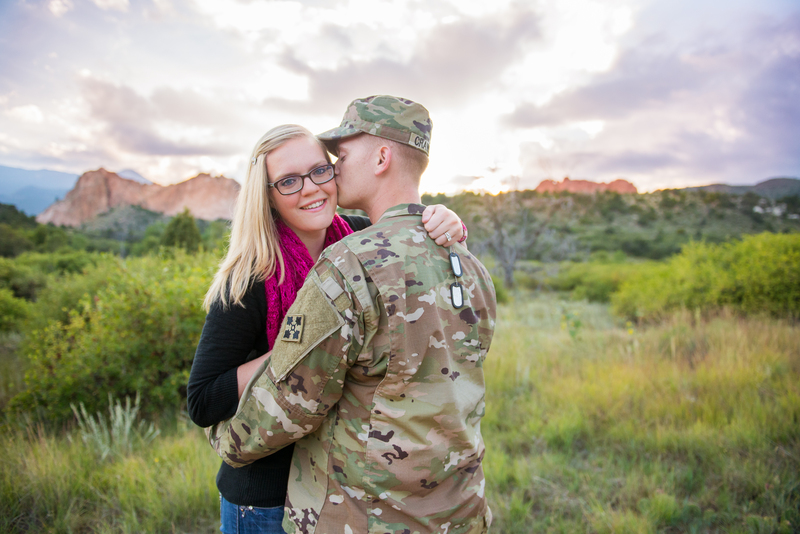 They’re a sweet military couple, who met ten years ago at their high school bus stop. Although they went their separate ways after high school, Justin was always there for Amber- even when they were thousands of miles apart and relied on letters for communication. 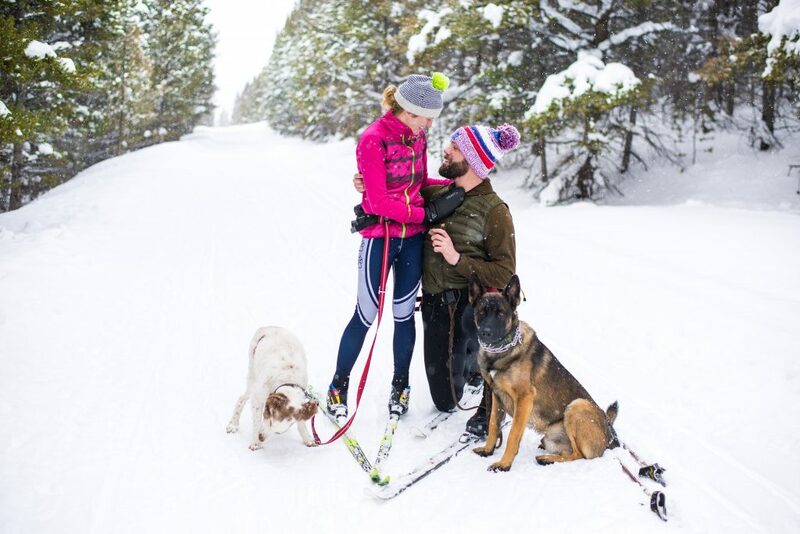 Now they are happily married here in Colorado Springs and enjoy exploring the nature this beautiful state has to offer. What better day than Veteran’s Day to share this lovely couple. I am forever grateful for the dedication and sacrifice put forth by our men and women in uniform. It’s all thanks to them for making America the greatest country on the planet! Sarah and Jeff were so cute together. They were smiling constantly throughout the session. And for claiming to not like pictures, Jeff did a pretty wonderful job of looking natural- I guess it’s pretty easy when you’re in love. This adorable adventure-loving couple was a joy to work with. They certainly made my job easy! 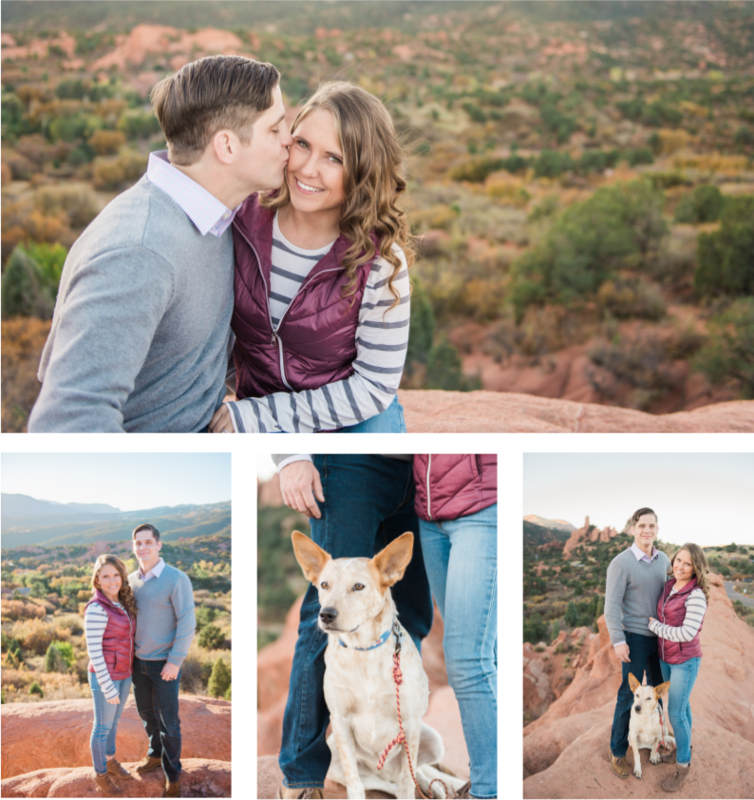 This session took place at Garden of the Gods in Colorado Springs. All of my sessions that I’ve done in Colorado so far have been taken here. Usually I love to switch things up and not continuously shoot in the same location, but Garden of the Gods is absolutely gorgeous and has a HUGE variety of locations within it to be able to switch up the background. I’m still amazed at how cool and naturally beautiful this park is. I’m so thankful it’s here because it’s a wonderful location for photo sessions. I hope you enjoy Sarah & Jeff’s session as much as I do! Their love for each other is perfectly displayed in these photos!